Exactly one month before Nicki’s 18th birthday, Pauline and Peter Freeman received the phone call that every parent dreads. Their daughter had been involved in a serious car accident. Nicki broke her legs and pelvis and sustained life-threatening brain injuries. For a month, Nicki’s life hung in the balance. No one knew the extent of her brain damage and Nicki’s family faced an agonising wait. Five weeks after her accident, Nicki lifted her right hand and scratched the back of her head. This milestone signalled the beginning of Nicki’s long and tough road to rehabilitation, which saw her re-learning how to stand, walk and swallow. 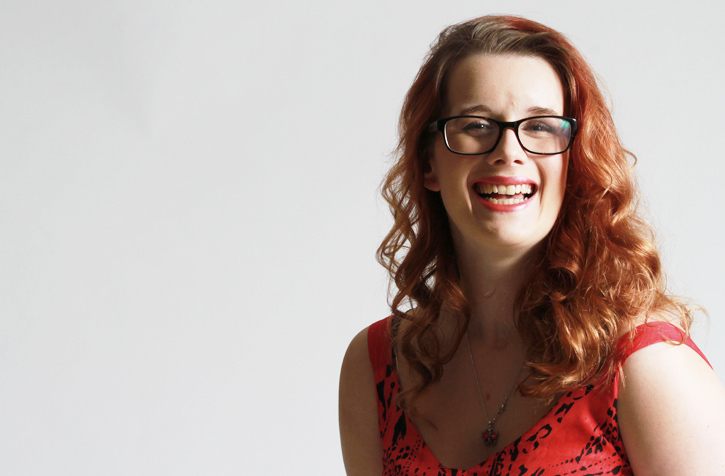 When Nicki arrived at National Star, she was determined to embrace life at college. She threw herself into a Creative and Performing Arts course, gained work experience at our StarBistro and the Everyman Theatre in Cheltenham, and played sports. With support from her Speech and Language Therapist and Physio Therapist, Nicki grew stronger and more confident. One special goal for Nicki was to learn how to walk in high heel shoes in the way she always used to. Thanks to her positive attitude and support from those around her, she has achieved this, and in doing so has regained something of her former self. ‘National Star gave our daughter a new life – one my husband and I never dared dreamed possible,’ said Pauline, Nicki’s mum. Nicki’s family are often asked what their goals are for her. For them, the answer is simple: for Nicki to become a tax payer, just like everyone else her age. They wish above all else that Nicki has the opportunity to work and live in the local community. In 2015 Nicki left National Star to do just that.